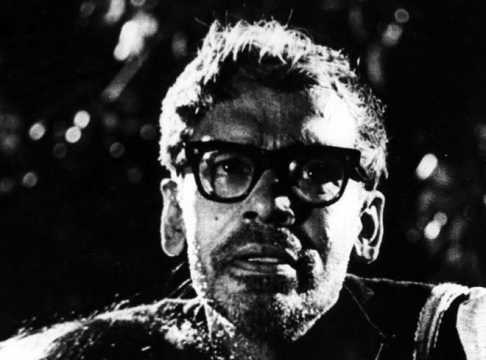 From his debut film to his last creation, Ritwik Ghatak remained a thoroughly political filmmaker, perhaps more so than any other in India till date. Though Ritwik Ghatak is considered one of the more prominent Indian filmmakers with Satyajit Ray and Mrinal Sen, he followed a trajectory all his own throughout his career. Ghatak, a filmmaker deeply conscious of the history of social ferment, did not consider cinema a mere medium of art. He exploited it in a deliberate manner to serve a certain end. As a result, Ghatak was never commercially successful. And while his contemporaries earned accolades all over the world, his work was mostly recognized in India only by a young intelligentsia that was just as painfully aware of social inequities as the filmmaker himself. According to Sanjay Mukhopadhyay, former professor of film studies at Kolkata's Jadavpur university, Ghatak created his own language of cinema which broke from the established idiom inspired by Hollywood. In Mukhopadhyay’s reading, Ghatak was never merely interested in telling stories, which is the conventional reason for making films. For him, filmmakers and audiences mostly ignore the film itself in their attempt to know the story it tells. He found this practice problematic because unlike reading a literary work, when one only follows a logical progression of words, in a film, words or dialogues play just a small part among various other aspects. Ghatak’s proposition was not acceptable to producers who proceeded to put hurdles in his path. Ghatak’s spirit never flagged, however. “He knew that the intense thought process behind making a film was not to be shut down," Mukhopadhyay continued. 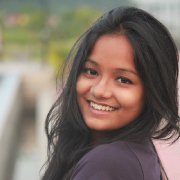 "We have to understand that making films differently can be easy but Ghatak was careful of the fact that his films would be examined by the common people in theatres. He did not have protection like directors of this generation have. For the first time in Bengali cinema, Nagarik resorted to a distinct expressionist portrayal. “As a member of a political party [the Communist Party of India], Ghatak sincerely believed he could bring change through his films. His ideology is quite apparent right from the credit sequence of the film,” the professor added. Ghatak’s Nagarik depicts a picture of the city which was not previously seen in Sharey Chuattor (1953), Shap Mochan (1955), Aparajito (1956), or any other film based on an urban landscape. “The city he shows in low light with a tinge of bitterness in Nagarik is not a post-Independence city full of promise," explained Mukhopadhyay. "Instead, he followed the trend of the Kallol era [an influential movement in Bengali literature, usually placed between 1923 and 1935], during which there was a tendency to paint the city as a dark place, as in film noir or German expressionist films.